Mrs. Megan Mitera began her role as assistant principal of Fulton School in 2015. 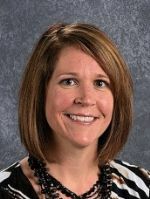 Prior to her current position, Mrs. Mitera worked for District 146 as a Speech-Language Pathologist at Fulton School for nearly thirteen years. Mrs. Mitera is a graduate of Illinois State University receiving her Bachelor’s Degree (1999) and her Master’s Degree (2001) degrees in Speech-Language Pathology. In 2008, she received a Master of Arts in Educational Administration from Governors State University. Mrs. Mitera looks forward to working with the Board, administrative team, staff, parents, students, and community members to ensure the students in our amazing school and district continue to learn and grow at every opportunity. Megan is married to Mike Mitera and has two school-aged children, Lauren and Mitchell.